A casual, warm and friendly dining experience over two floors at a location that has been serving locals for generations. 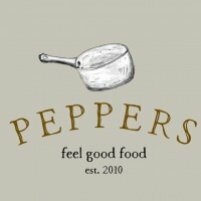 Peppers restaurant Mallow is situated at the gates of Mallow Castle in an imposing limestone building where Goldens’ Pub once stood. The restaurant is instantly recognisable and complements the many other businesses on the street. We offer a casual, warm and friendly dining experience over two floors at a location that has been serving locals for generations. At Peppers we keep it local, sourcing our food locally and always supporting Irish. We offer an extensive menu cooked from fresh at excellent value. Our upstairs section can accomadate up to 50 people and private or semi private bookings are taken. Reservation queries can be made by telephone to (022) 22011.